We pet owners in the Huron and Sioux Falls, SD region know a clean and well-groomed pet is also a happier and healthier one. 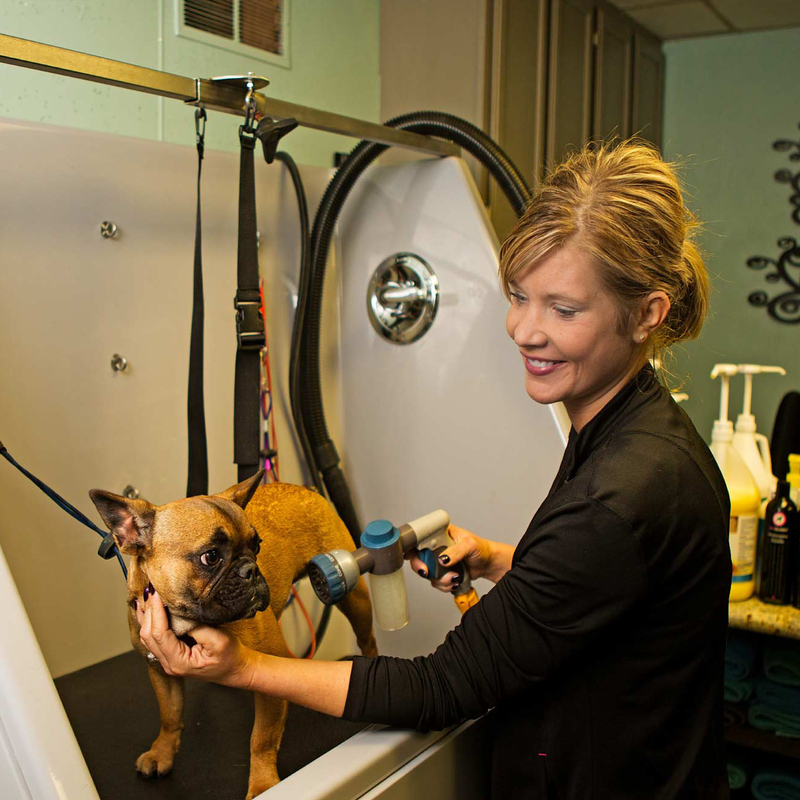 Since 2007 at 4 Pawz Pet Care and Mobile Spa, we’ve been in the business of bringing smiles to the faces of hundreds of pets, and their proud owners, throughout this area. 4 Pawz’ owner and 19-year industry professional Jenn DeBoer, the secret to making your pets happier and healthier is built upon her steadfast, pet-pampering business credo of: One goal, one passion, one dream; all driven by excellence. Your dog or cat won’t have to be loaded up or crated to get them here. We bring our team to your home or workplace. It’s more relaxing, private and safe. Your pet doesn’t need to be exposed to other animals, especially sick ones. It’s a much less-stressful overall experience for you and your loveable pet. The grooming only takes 1-3 hours depending on the services we provide, and that means no waiting at, or driving multiple times to, a pet salon or vet’s office. If you or your pet are having trouble getting around, we come to you! Please Note: All pets we work with must be up to date on Vaccinations. Required vaccinations for dogs include: Rabies, Distemper, and Bordetella. Required vaccinations for cats include: Rabies and Distemper. We are presently averaging over 300 appointments, along with 300 happy pet smiles, per month, so please register your pet first online and then call us for an appointment soon at: (605) 352-7299. To learn more about Jenn, and the other pet-loving 4 Pawz Pet Care and Mobile Spa team members, visit our About Us page. For additional information on our salon-quality mobile pet care services, or our affordable in-house services, visit those pages for more details. What is 4 Pawz Mobile Spa?